This year we are participating in Box Tops for Education program. 1 Box Top doesn't seem like much, but once it's submitted it joins another and another. Together, they add up and can help build programs and collect funds for Mesa Union School! Each Box Top is worth 10 cents. Schools can receive two checks every school year, once in December then April. Money earned is used to fund our school and its various programs. FIND the Box Top logo on participating products when you shop then CLIP and SAVE them in a baggie or collection sheet. Please make sure to double check the expiration date! 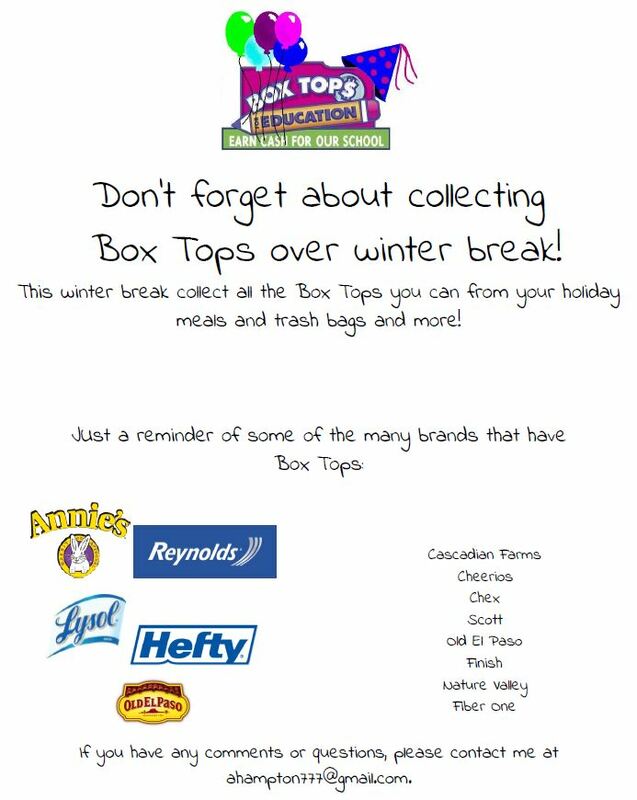 Then DROP OFF clippings at the Box Top display located outside the school office or with your child's teacher. Don't forget to write your child's name and teacher on the baggie so he/she gets credit for participating. Our goal for the 2016-2017 school year is $3000.